There is nothing too hard for God! There is nothing He can’t do! No situation He can’t handle, no person whose life He can’t touch. There is no limit to what God can do in our lives as we give ourselves to Him more and more fully. I know that it is tempting to give up on words like “new”, “change”, “better”, and “resolution”. I know that there are sicknesses and diseases, lifestyles and habits, relationships and career goals; and I know how it feels when it seems like there are areas where you just keep fighting and losing. It can become such a weight that you’re tempted to give up on it, live with it, or just settle where you are. What I’m here to say today is, “Don’t do it!” Don’t give up on your career goals. Don’t give up on trying to live a healthier lifestyle. Don’t give up on your expectation that your relationships be healthy. Don’t give up hope that your brother or sister, uncle, aunt, or cousin, that your mother, father, or ex-best friend will see the light and know who God truly is through Jesus Christ. 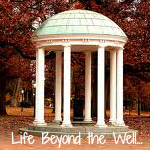 It may seem like the situation is too far gone; it may seem like the last chance you had was the last chance you ever will have, but don’t believe it! It is a lie. If you are frustrated with what your life has looked like, and you are losing hope that even your prayers can change your situation. I understand. I know what it’s like to have my most fervent prayers denied by God. I know what it’s like for Him to say an emphatic “NO” to my requests. However, what I’ve also learned from those times in my life is that God’s NO set me up for a better and more unexpected YES. So, maybe the Lord didn’t do things my way, but there’s just a chance that He knows your issues even better than you, and has a solution that you have yet to think of. After all, He is God. And God’s REACH is unlimited! He is the Creator and Sustainer of our universe, our lives, and the giver of everything in our lives that we value. As such, He can see all of our issues from a perspective we can’t obtain; and since His sight is different, and His power is different, it’s completely possible that there are areas in our lives where we are unsuccessful where He can make us successful. There are people in our lives who we want to but can’t help. And He can still help them. He is the Lord God Almighty. Our limitations don’t match His abilities, and in order to see the change we are so desperate for in our lives, we have to trust in both His power and His guidance. We have to trust that everything we could possibly hope for or pray for is completely in God’s REACH. I receive this in Jesus name. 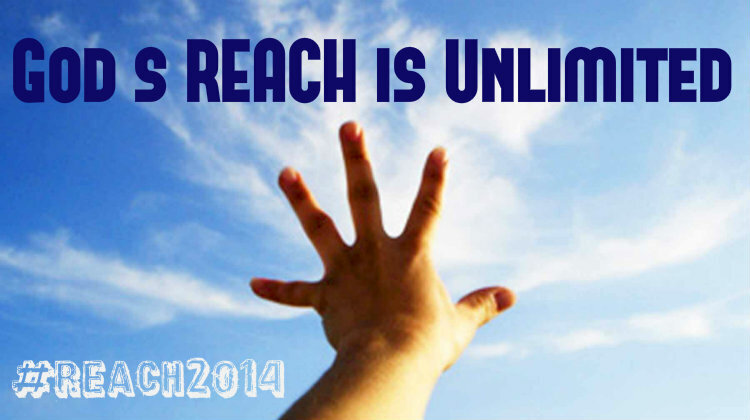 #Reach2014 Happy New Year!